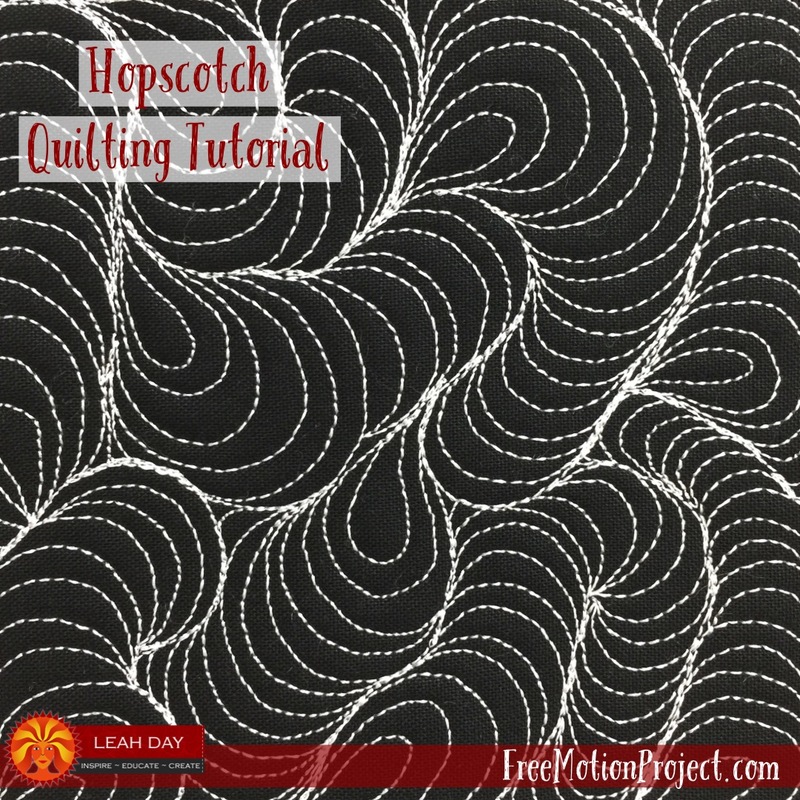 Let's learn more about quilting hopscotch. Yay! I blogged every day this month! Well, kinda... I had to post twice a few times and today I'm catching up with one last post to reach my goal of 30 posts in April. Still, that is more than I've shared in a single month since 2014. I'd say I deserve a gold star! Umm... that isn't a gold star. Yeah, I know! I searched through all of my nice new organized folders and I've never quilted a gold star, ever! That's definitely on my to-do list now! It's been a month of rain and chilly weather. Seriously - can it just warm up and STAY WARM already? 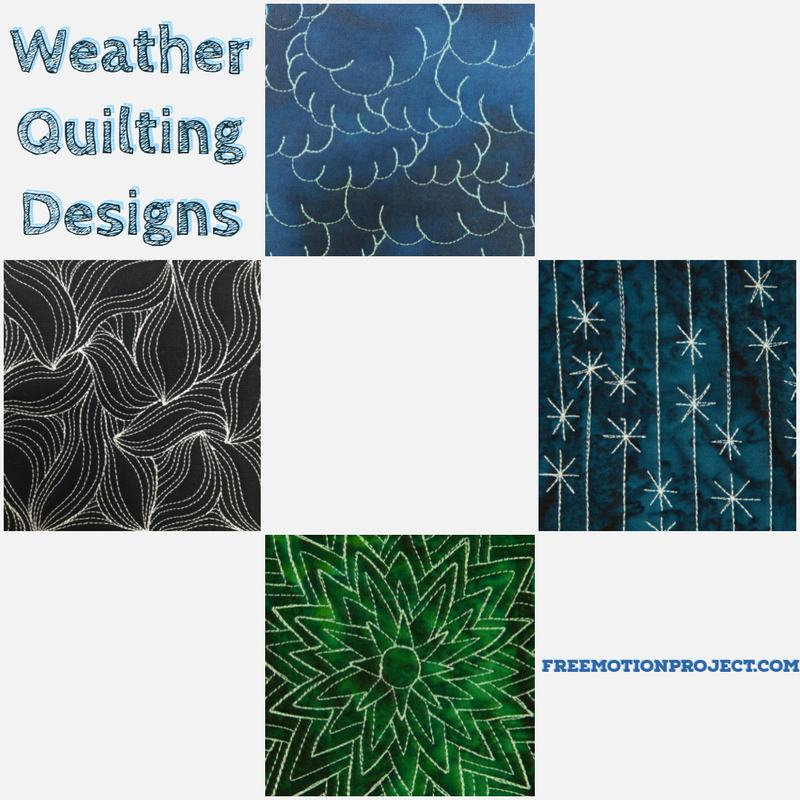 Anyway, I figured it would be fun to dig through my photos and find quilting designs that fit with this month of unsatisfactory weather. Enjoy! Click Here to learn how to quilt Clouds. Click Here to learn how to quilt Icicle Lights. Click Here to learn how to quilt Sun Medallion. 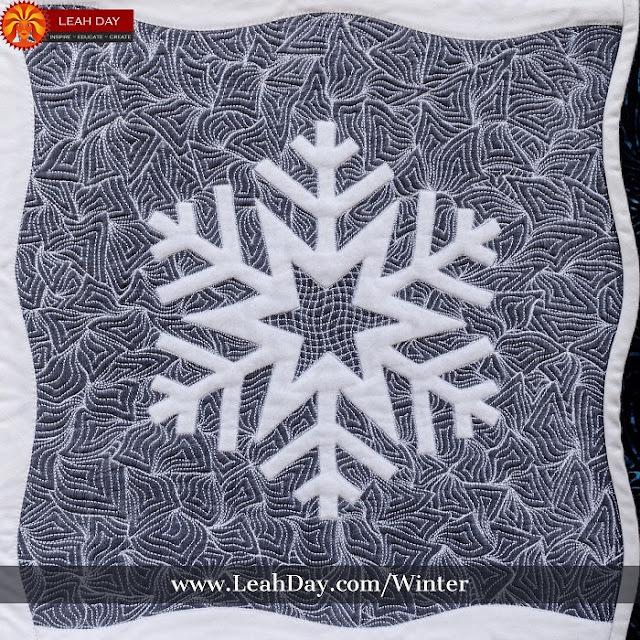 Click Here to learn how to quilt Open Flow. Whew! I just changed out the header for this blog and it gave me fits getting the sizing and spacing just right. It's always scary to upload a new photo and hit "publish" only to find the image way smaller than you expected, shifted off center and looking really weird on the top of the page. I will do interviews with local media any day of the week. 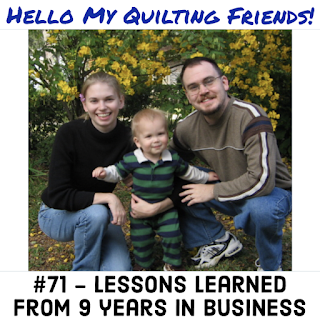 Our brick and mortar shop is kind of the weak link when it comes to net revenue in the Quilt Addicts Anonymous brand. It makes money, but barely, and I know every time I chat with a local reporter, that number goes up just a little bit.